Books Update: You Wait Ages For One Omnibus, Then Three Come Along At Once! Home→What's New→Books Update: You Wait Ages For One Omnibus, Then Three Come Along At Once! 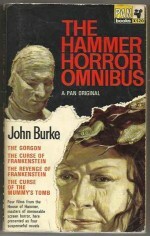 *Science Fiction, Fantasy & Horror: Two mouth-wateringly rare Hammer Horror books join our shelves today, featuring John Burke’s gruesomely spine-chilling novelisations of classic Hammer films. The elusive Hammer Horror Omnibus features a double double bill: The Curse Of Frankenstein, The Revenge of Frankenstein, The Gorgon and The Curse Of The Mummy’s Tomb. 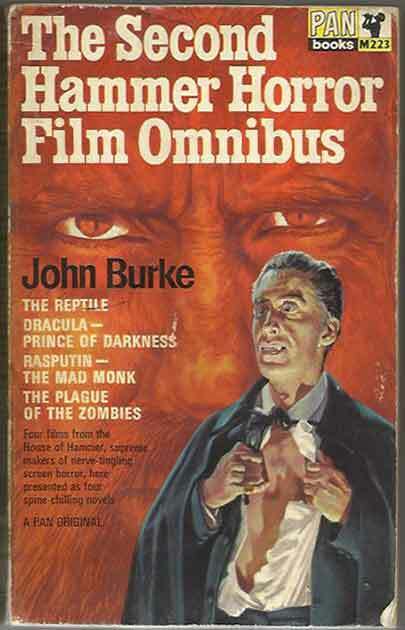 The Second Hammer Horror Film Omnibus is even more elusive, but by a spooky twist of fate we have two on offer. This book also features tales from four films: Dracula – Prince Of Darkness, Rasputin – The Mad Monk, The Reptile and finally The Plague Of The Zombies. All are 1st UK PB editions; truly horror to make you drool. Prices reflect their rarity: the first Omnibus is VG at £75; both seconds are GD also at £75 each.